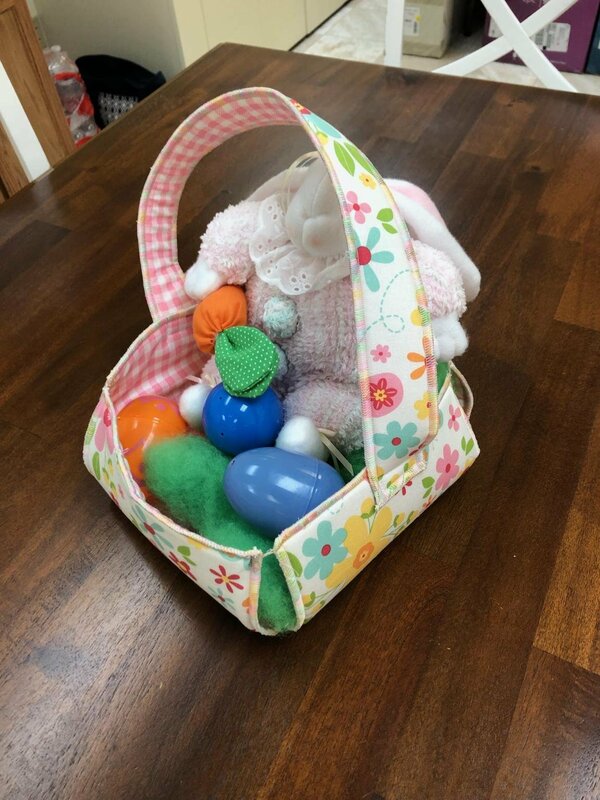 Fill this basket with Spring flowers, Easter eggs, candy, etc. The serger will speed up the process and help you make several of these for family or friends. Use fabrics to coordinate with the season or your home..